Here on my blog, we’re going through a study of foundational principles. The writer of Hebrews tells us our goal is to become mature Christians who can handle strong spiritual “meat,” but first, we need to have a foundation in place that’s firmly grounded on Jesus Christ. Without these foundational doctrines, we aren’t able to grow. We need to make sure our foundation is stable, and then we can go on to maturity in Christ. 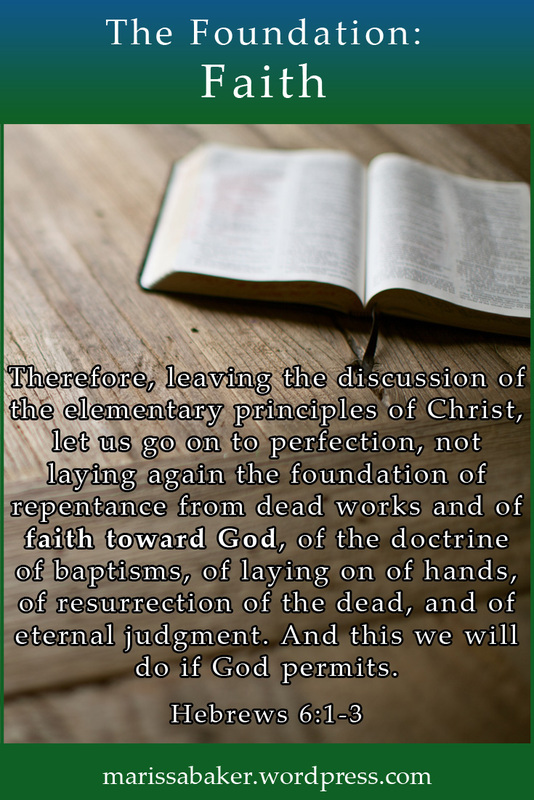 Faith is closely tied to the previous principle on the list: repentance from dead works. Like repentance, faith is a prerequisite for coming to God, and it was at the core of Christ’s message during His earthly ministry. The Greek word “believe” (G4100, pisteuo) is derived from the word “faith” (G4102, pistis), and it means “to have faith in.” Repentance is about turning away from sin; faith is about turning unto the one who saves us from sin. We rest our faith upon Him. This is from Jesus’ words to Paul when He first called him. The word “to” (as in “from Satan to God”) is the same word translated “toward” in the Hebrews 6 phrase “faith toward God.” It involves moving toward someone with the intention of staying there with them once you arrive (Zodhiates G1909, epi). That’s all made possible by the work of Jesus Christ, whose sacrifice made repentance possible and gave faith power. One thing that becomes very clear as we study the foundational principles of Christianity is how intimately connected what we believe is with the One we believe in. Our faith stands in the power of God (1 Cor. 2:5), and it is “faith toward God” that roots us to the foundation where Christ is Cornerstone. We can’t “be in the faith” unless Christ is living in us (2 Cor. 13:5). Hebrews 11:1 defines faith as “the substance of things hoped for, the evidence of things not seen.” By faith, we’re able to focus on a goal we can’t see with our physical eyes and trust that it’s really there. In the Greek, the words describe Jesus as the originator or beginner of our faith (G747, archegos) and the One Who will bring it to completion (G5051, teleotes). 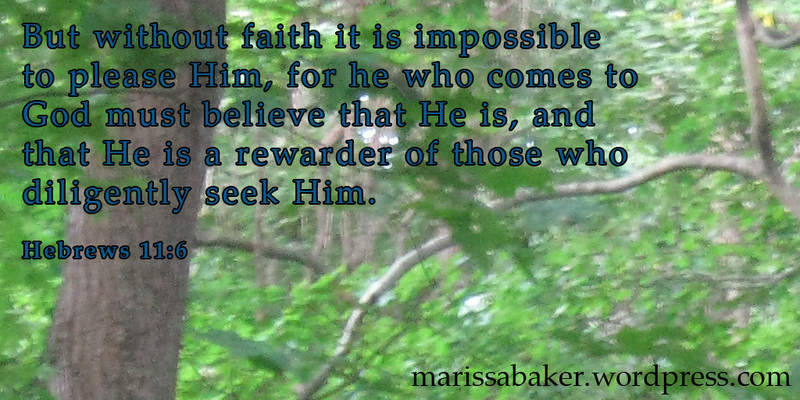 He works with and in us from start to finish to strengthen our faith and make us perfect, mature Christians. The foundational principles build on each other. Once we repent from dead works, we walk in newness of life by faith. It’s the next essential ingredient for building the sort of relationship with God on which our lives depend.